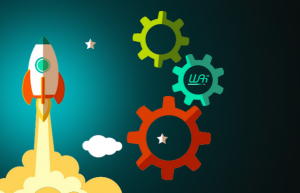 Datakeen was selected to take part in the 4th season of acceleration of WAI, the startup accelerator of the BNP Paribas group. We will have the great opportunity to co-innovate with Arval, the subsidiary of the group that makes long-term rental of professional fleets. Benefiting from strong growth Arval is developing its activity all over the world and is collecting a great deal of data from its vehicles equipped with telematic boxes. Datakeen will work on leveraging Arval’s data, in particular the driver behaviour predictions.